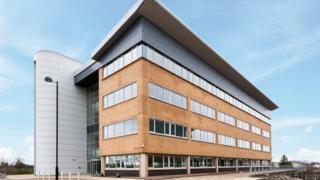 Property firm Wirefox has bought six commercial properties on the outskirts of Glasgow for £35m. The Rockford portfolio includes nine office blocks, comprising of 384,146 sq ft of office space. The Northern Ireland-based firm recently completed the £18m purchase of Silvan House in Edinburgh, which is let to the Scottish government. Wirefox is based in Holywood, County Down, and is controlled by businessman BJ Eastwood. Its latest acquisition included the IBM base in Cumbernauld, Trilogy Business Park buildings that house NCR and Laing O'Rourke, and Kwik-Fit and Hoover bases at Tannochside Business Park. It also included Phoenix House, which is let to Daisy, and Nevis House in Hamilton International Business Park, and GSO Business Park in East Kilbride. Steven Flannery, director of investments at Wirefox, said: "Rockford is the latest example of our long-term strategy of recognising value-add investment opportunities, and we look forward to adding significantly to our office portfolio in the future."